Looking for a personal gift? 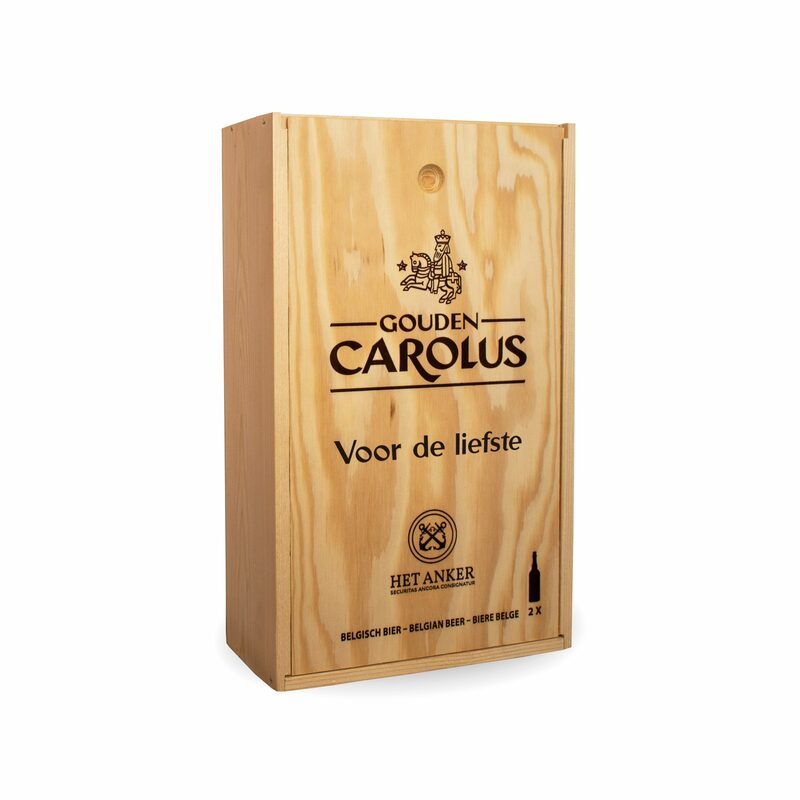 Put your message on this wooden beer box with 2 large bottles of Gouden Carolus (75cl). Gouden Carolus Classic, the “Grand Imperial Beer” of Mechelen, unites the warmth of wine and the freshness of beer. This makes it very suitable in combination with stews, wild, pates and ripened or strong cheeses. Elected as Worlds’ Best Dark Beer (World Beer Awards 2012). 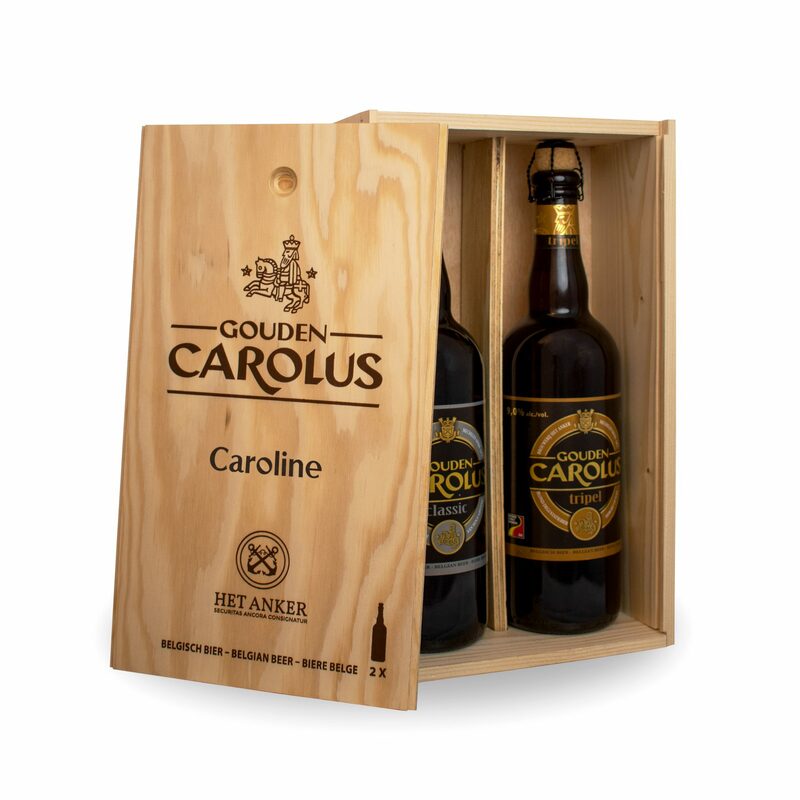 Gouden Carolus Tripel is brewed with the best Belgian ripe barley and hops, to preserve as much pure aroma as possible. Ideal with chicken, spicy dishes or fine, soft cheeses. Elected as World’s Best Tripel (World Beer Awards 2012). Please note: When your order contains a personalised product, you should allow 1 extra working day for the product to be finished. Your order will only be shipped the following day. Personalised items cannot be returned, since they have been especially made for you. Be sure to check your text carefully before you place your order, because the order is final (including upper & lowercase letters). Limit yourself to 25 characters and avoid special characters like ï for the best result. The print is done in 1 colour in the official Gouden Carolus font.